We've got lots of hot entertainment and cool beverages at the Columbia City Theater and Bourbon Bar. Wednesday nights are karaoke in the Bourbon Bar, and this Thursday, Mamma Casserole (Michelle Smith from the Comet Tavern and Noise for the Needy) will be spinning records. Friday and Saturday we've got great bands in the theater. 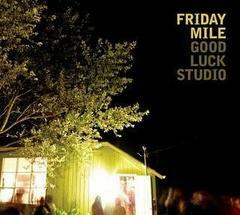 Friday — appropriately enough — is Friday Mile's last show; while Curtains for You and Ravenna Woods take the stage on Saturday. Hope to see you!